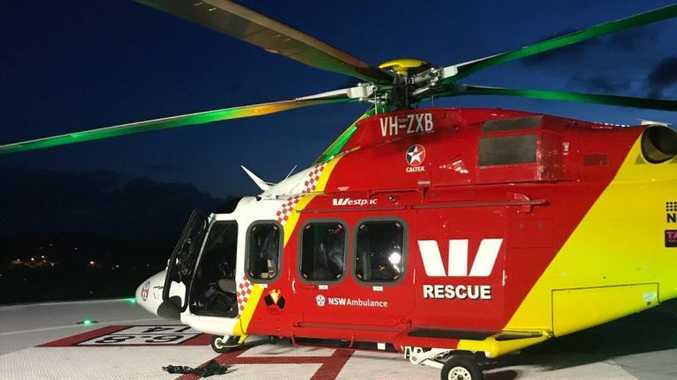 The Westpac Life Saver Rescue Helicopter transferred a 14-year-old boy from Lismore Base Hospital to Lady Cilento Hospital in Brisbane after a surfing incident at Sharpes Beach north of Ballina. A 14-YEAR-OLD girl has been rushed to hospital after a swimming accident. The girl was at Sharpes Beach, Skennars Head, yesterday, when the incident occurred. She was initially taken to Lismore Base Hospital with suspected spinal injuries, but was last night transferred to Lady Cilento Children's Hospital in Brisbane by the Westpac Life Saver Rescue Helicopter. The girl's condition is not known at this stage.